GB Mag sat down with Olufunmi Odeyemi, who is from Nigeria and has been a student at Nottingham Trent University for the past three years. 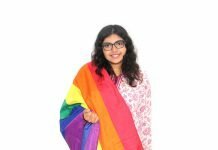 We find out what in Nottingham inspired her to write two powerful poems, both of which won a prize in the Nottingham Young Creative Awards. Funmi, as she is known to her friends, confesses she’s always wanted to come to the UK. With family in London and as a loyal Manchester United FC fan she might have originally chosen to study in Manchester to be nearer to the club she has supported since she was eight. 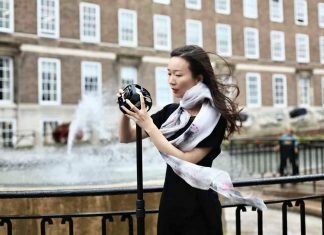 Or drawn to the bright lights of London but after visiting her older sister and brother, who were both students at Nottingham Trent University, she knew this was the city for her. She says: “I have been coming to the UK since I was a child and when my siblings moved here I came to visit them. 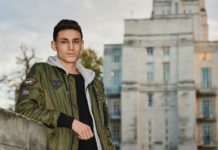 It helped me decide that I wanted to study in Nottingham too, even though I could have chosen anywhere in the UK. What her holidays to the UK didn’t prepare her for was the weather. She recalls the shock of arriving in the winter to start her course, having only visited in the summer before, ”It was already snowing and whilst I thought I had come equipped with winter clothes the cold just cut through them”. 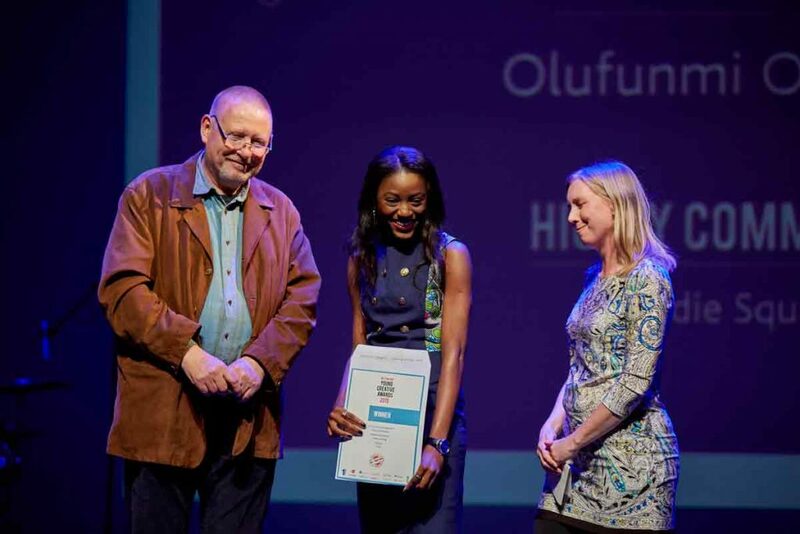 Funmi has not only embraced the many differences between her home city of Kaduna and Nottingham, including the climate, but has celebrated them through her creative writing. The first poem she wrote “My hidden Nottingham” captures the sights and sounds of dawn breaking over Nottingham on a winter’s morning and was good enough to win the creative writing category of the Nottingham Young Creative Award in 2013. Her second, which has won the title again, is titled “Made in Nottingham” and is about Funmi’s encounter with a homeless man. 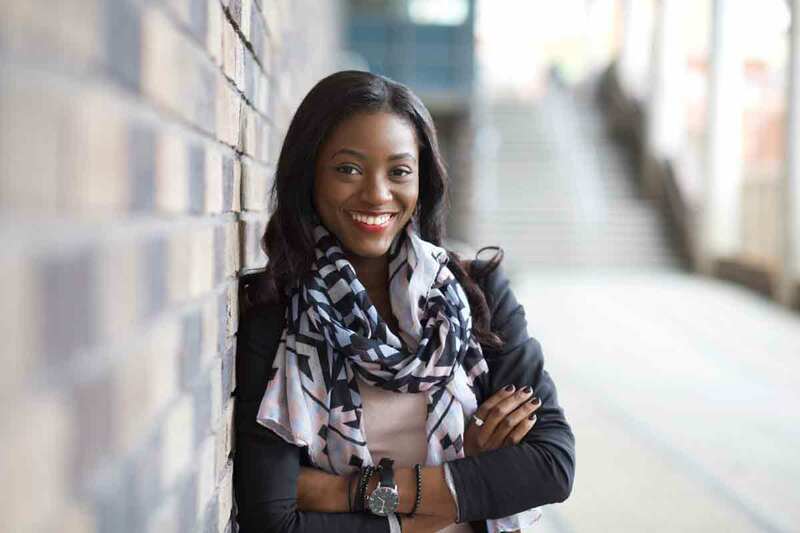 It would be fair to say that Funmi has immersed herself into the city as well as student life, which includes the obligatory pub crawls – a concept that was completely new to her when she first arrived. 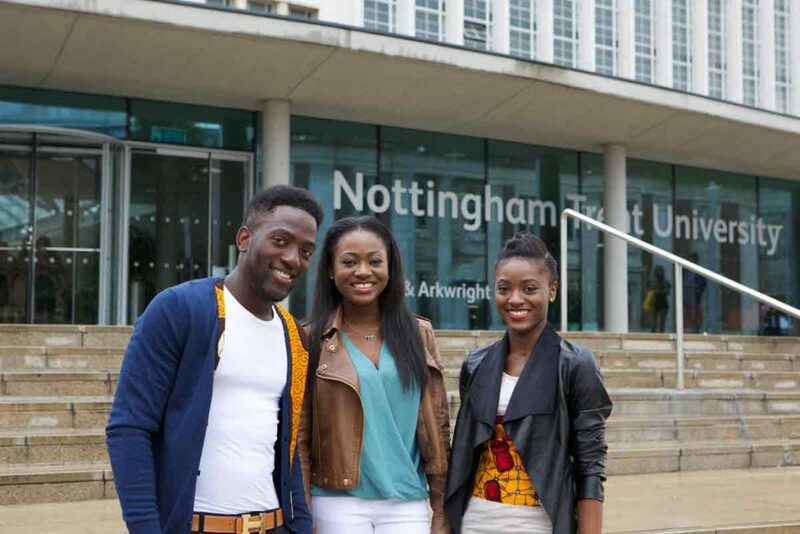 Funmi enjoys student life in Nottingham including the difference in teaching styles between the UK and Nigeria: “Whilst the Nigerian education system is based on the British system, things are very different. The one thing that struck me immediately and I appreciate is the open dialogue between students and lecturers. The interview is now sounding a bit like Funmi is an official ambassador for the university and the City so I ask her about what she has found difficult and strange about living in the UK and her response is not something I have heard before. But considering she is studying product design I am not entirely shocked. “Well” And then she pauses. “I find the fact there is a tap for cold water and one for hot a bit strange.” We both laugh and move on to whether she likes British food. Her answer is diplomatic when she says “It’s not that I don’t like it but I cannot think of anything I really love right now, although I don’t mind a good Sunday Roast dinner!” Plus she points out that Nottingham is very multi-cultural and she can easily pick-up snacks and ingredients to make her favourite Nigerian dishes. Having spoken to Funmi for half an hour or so I have just realised how much she has picked up the Nottingham accent and comment on it. To which she laughs knowingly and comments that I am not the first person to tell her she has a ‘notts’ accent. And that she has picked up some colloquialisms including “to be fair”- which she starts most of her sentences with. 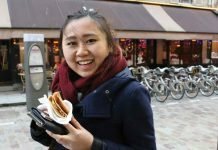 Our chat is coming to an end and I ask her if she has any advice for other international students to which she simply replies “they should just go for it” – which is exactly what she has done! It was the feeling of the music battling the effect of that cold on me. It was anticipating the next time. And it was my hidden Nottingham. My path, narrowing sunlight, I swear I think I can hear a forest nearby. My path, Broadmarsh to Square, un-skipping puddles on a peaceful navy night. My mind, oblivious to control, dancing to fresh drizzle because they’d turned off the music. My mind, captured to a pause, a half-gaze from a sitting figure and then I saw it all. His skin, clay from the caves, moistened by the rain and abraised by the wind. His skin, map of the city, bruised and imprinted but patterned to a lace. His eyes, mirroring the lights, twinkling and reminiscent of a certain travelling fair. His eyes, a dance so synchronised, waltzing Square to self to elements, pure as they were. I envied him. I wanted to sit, to know, to learn and to listen. I envied him. I wanted real and surreal, his stories to engulf me. He would say he loved this place with an infernal fire that could only be kindled by time and experience. He would say his mind was a product of its sounds and memories, no aches of nostalgia because he never left. He would say he clutched a shilling in his sweaty grip and it was a present from Robin. He would say he could feel the elements graze against his skin, or he would say it was only the city’s skin. And he would say he was made from Nottingham, made in our Nottingham, and him, we could celebrate. Or else, he would just look away, and I would just walk away. Back to my path, and filled with regret. I should have asked his name.